Find My Workspace lists over 95% of the business centres market in York. Simply click Request Quote to check pricing for one office, or Add to Basket for multiple offices. 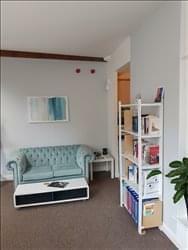 Based in the beautiful North Yorkshire countryside, this centre offers a range of workspace solutions, from dedicated office space, to co-working, to hot-desking. The centre prides itself on its collaborative atmosphere, with dedicated weekly networking time, and constant relationship building. There is also flexible meeting rooms that benefit from lots of natural light and stunning views over the rolling countryside. The variety in membership options makes it an exicting proposition for all kinds of businesses and entrepreneurs. Tea and coffee are available throughout the day, and the centre is accessible for anyone who may have mobility issues. Residents benefit from direct access to the University of York’s Research and Innovation Office offering further support in helping businesses to grow. 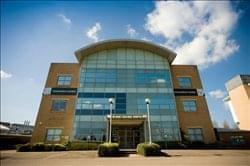 The facilities include a secure on site data centre with internet hosting facilities, up to 1GB broadband on demand. The park also offers virtual office and coworking facilities, a wide range of conference and meeting room options and is ideal as a location for a satellite office.